A forum opened to people nationwide yesterday by the National Traffic Safety Committee and the Transport Ministry at www.mt.gov.vn to discuss measures to reduce traffic accidents and step up traffic control efforts in Viet Nam. Mr. Ho Nghia Dung, chairman of the committee, said the forum will officially receive all contributive opinions from various organizations, enterprises and citizens from December 25 and best ideas will be brought into policies and measures to maintain traffic safety. On the same day, the VietNamNet Online Newspaper (www.vnn.vn) has launched its campaign, entitled "Say no to speeding along and careless cross", and a contest namely "9X- Say no to speeding along and careless cross" (9X to be regarded as those who are born in 1990s). Participants in the contest, which are secondary and high school students nationwide, design their own slogan and stick it on their schoolbags or bicycles. Interested readers can visit website www.vietnamnet.vn/baylenvietnam/sangtao for further information. The Ministry of Transport said it would mobilize around VND310, 400 billion in the 2006-2010 period to improve the nation’s transport infrastructure system and quality of various means of transport. Besides, the ministry will construct more highways, extend and modernize the nation’s major international sea and air ports. 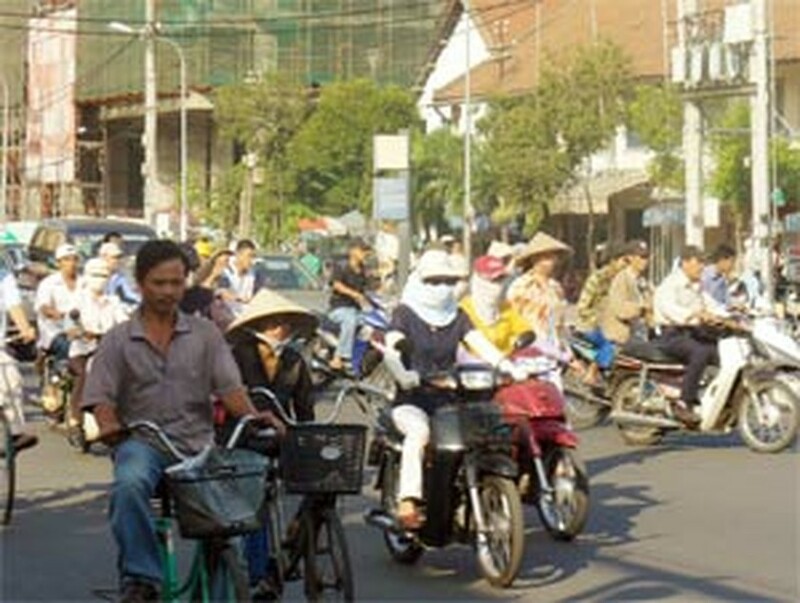 Particularly, urban transportation in the two big cities of Ha Noi and Ho Chi Minh will be among the ministry’s focuses to develop. According to statistics recorded by the National Traffic Safety Committee, in the eleven months ending up to last November, traffic accidents had killed 11,000 people and injured over 10,000 others.